I believe we are witnessing this scenario in the Catholic Church today. A certain faction of Catholics are attacking the Holy Father (who has much more authority than the head of a medical association) on account of his efforts to explore the meaning of Christian marriage and his seeking solutions aimed at helping people who are in irregular marriages find reconciliation or, at the least, encourage them to take part in the life of the Church in ways they licitly can. 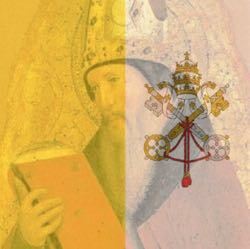 This faction loves to pull out certain mined quotes from older Church documents, contrast them with Pope Francis, and argue the Pope is a heretic. The problem with their tactic is, it displays lack of knowledge about the Church applying norms of moral theology to specific cases. The Pope is not introducing something new here. He is not calling for the change of moral norms. He is reminding pastors of the need to investigate each person or couple to see how their situations line up with the moral norms. Catholic moral theology tells us that for a sin to be mortal, we need three things: Grave matter, full knowledge that it is sinful, and freely choosing to do it anyway. If one of those things is missing, then the sin is not mortal. That doesn’t mean there is no sin or there is no reason to change, and the Pope never claims there is no sin and does call on people to change! I think we have forgotten what a mortal sin is. If we remembered, his words would not shock us. The speculative reason, however, is differently situated in this matter, from the practical reason. For, since the speculative reason is busied chiefly with necessary things, which cannot be otherwise than they are, its proper conclusions, like the universal principles, contain the truth without fail. The practical reason, on the other hand, is busied with contingent matters, about which human actions are concerned: and consequently, although there is necessity in the general principles, the more we descend to matters of detail, the more frequently we encounter defects. Accordingly then in speculative matters truth is the same in all men, both as to principles and as to conclusions: although the truth is not known to all as regards the conclusions, but only as regards the principles which are called common notions. But in matters of action, truth or practical rectitude is not the same for all, as to matters of detail, but only as to the general principles: and where there is the same rectitude in matters of detail, it is not equally known to all. Thomas Aquinas, Summa Theologica, trans. Fathers of the English Dominican Province (London: Burns Oates & Washbourne, n.d.). I-II q.94 a.4 resp. Applied to the Apostolic Exhortation, the fact that a marriage is irregular is not disputed. But defects in the knowledge of the people or culture involved may change the level of culpability, and the means of helping them may be different from other cases. Not because the Church is changing her rules, but because society has grown so ignorant of right and wrong that people enter morally wrong situations without knowing they are wrong. The result is, people who do not know this are accusing the Pope of inventing something which was, in fact, long known in the 13th century. Plato, Plato in Twelve Volumes Translated by Harold North Fowler; Introduction by W.R.M. Lamb., vol. 1 (Medford, MA: Cambridge, MA, Harvard University Press; London, William Heinemann Ltd., 1966). The person seeking the truth can find it, but only if they search for it. In this case, when we find something unfamiliar in the Pope’s words, we should strive to understand how the Pope means his words. We should not just assume that our preconceived notions as Americans match how the rest of the world thinks. We should not assume our degrees earned as laity qualifies us to match wits with the confessor trained to assess individual cases. I have personally watched pastors give insights into moral theology which went beyond what I learned to earn a Masters in the subject. We cannot assume that our education or personal reading is adequate in any subject lets us interpret the new information we discover without study. When there are experts in a field, we should learn from them. In the case of the Catholic Church, these experts are the magisterium who decide how to best apply the timeless truths to today’s problems. Magisterium is a key word here. Yes, there are theologians, bloggers, and secular news agencies who distort Church teaching. Their false interpretations do not make the actual teachings of the Pope or bishops false. Our personal reading of Church documents from before Vatican II does not trump the magisterial authority to interpret these documents. In fact, when there is a conflict with official Church documents, we ought to assume our interpretation is wrong. Even in unofficial things like interviews and press conferences where our assent is not required, we ought to recognize the difference of language and culture can be a stumbling block. I would sum up by saying we must not be overconfident in our own knowledge and skill in interpreting. We should know our limitations and know when we do not know something. When we learn of our ignorance, we must strive to learn from reliable teachers, not those we happen to agree with. In the case of the Catholic Church, the ultimate judges of what is in keeping with our faith are our Pope and the bishops in communion with him. Those who reject the magisterium are not qualified judges and cannot pass judgment on the magisterium. If we do not know that, we cannot consider ourselves wise as Catholics. [*] For example, Priest-blogger Fr. Dwight Longenecker recently wrote an article (found HERE), giving us three pastoral cases of people in an irregular marriage. He tells us he knows the answers to these questions (I think they may be textbook cases) but does not tell us the answers. Why? Because he wants us to recognize how difficult cases can be, especially when we do not have the training to make these assessments. [†] My translation is older and so slightly different than it appears in Amoris Lætitia ¶304, but the meaning is the same as what the Holy Father cites.